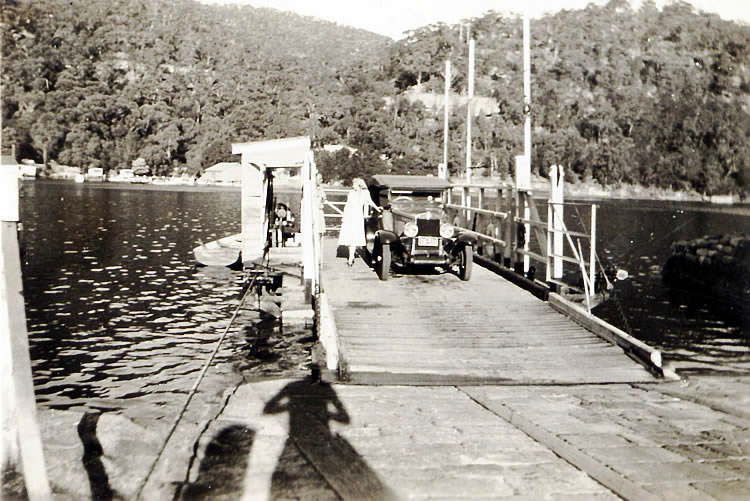 This little photo inscribed on the back simply “BEROWRA WATERS FERRY” was given to us by sisters, Jill Brancourt and Pat McCready via Shirley Collins after conversations about local history. Thank you to each of them for their contribution. CAN YOU HELP US FIND OUT MORE? What kind of car is it? Is its number plate TB 531? Who is the lady with her hand on the car? Who is the partially obscured man standing nearby? Who has been caught in the foreground shadow? What date would you give to the photo?